My Dad's old Massey-Ferguson sits out in the elements year-round, ever ready for any job. 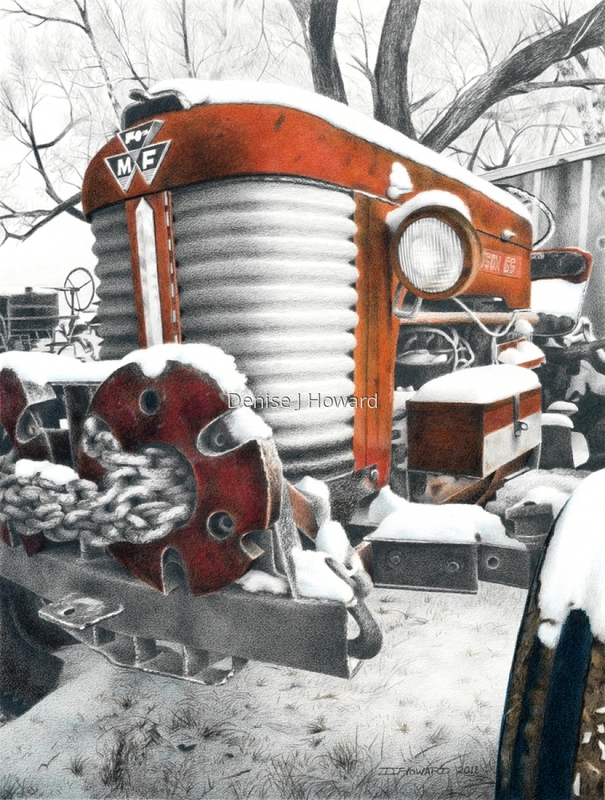 Although at first glance this looks like a colorized black-and-white image, the scene really looked like this, and that's what drew me to it; not only is the tractor standing in the snow, but its colors stand out in the snow--hence the title. Graphite and colored pencil on Stonehenge paper. Exhibited in CPSA "Explore This! 8", 2012. 6.625" x 5"11.875" x 9"17.125" x 13"22.5" x 17"